Our dog daycare is the happening place for all of Columbia’s canine citizens and dogs from around the area! We divide our daycare by temperament more than size, so often we have a quiet side and a busy side. 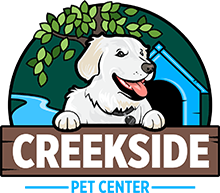 Weather never stops the fun at Creekside, they can play in our indoor climate controlled area or have a ball in the outdoor yards. There’s no need to leave Spike at home anymore while you’re at work or school all day. Let him come play with us! 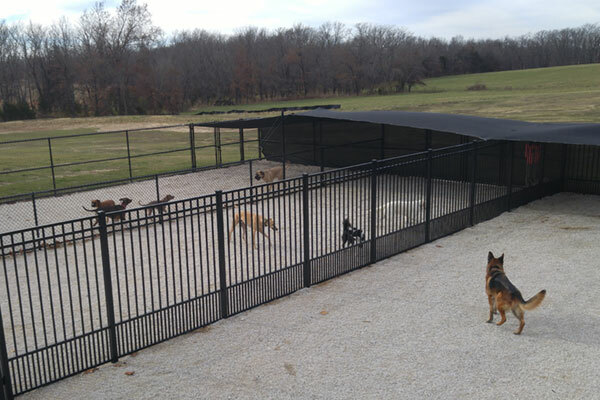 Dog daycare offers full and half day services as well as daycare packages. To maintain happy social groups, you must book an appointment for an evaluation and your dog must pass prior to regular attendance. Evaluations are limited, please book in advance.